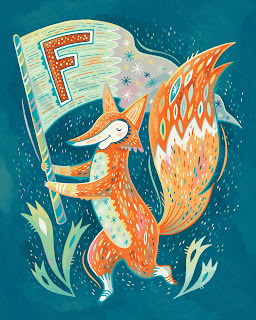 Anni Betts continues her illustrated Alphabet Animal series with F is for Fox Waving a Flag. “It’s always Fun drawing Foxes,” says Anni. “I hope he brings a smile to your Face…and have an F-is-For-Fantastic day!” View & purchase prints of the series in progress here.